I am here to announce our second Guest Designer of the month. 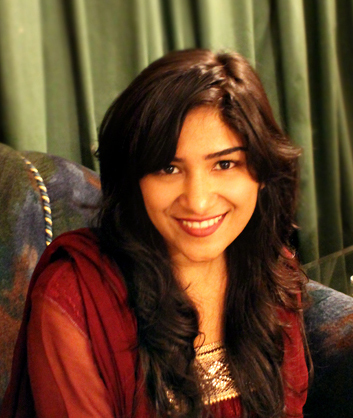 A very talented and creative, Erum Tasneem from Vibgyor Krafts! Hey hi people I am Erum, most of you know me as E.T. and if you don't know me, well hello there! I have been crafting since quite some time now and I am a card maker but new found love is Journaling! Oh I sooo love to make journals! I am so honored to be guest designing for Lulupu - The Craft Lounge! Karuna is a friend and I am so proud of how far she has come with this dream of hers (no longer a dream). 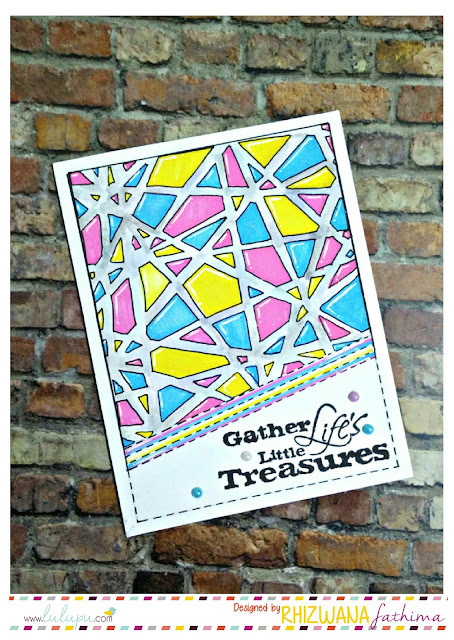 The challenge for me is exciting; "Color Splash + innovative ways to use a punch" . I make all sorts of cards and shabby chic being my main love I really wanted to give my colorful card a shabby feel. To incorporate the "punch" part of the challenge, I used one of the MS border punches and punched on one side of a long strip (length of your strip depends on how many or less ridges you want). A score board is your best friend in making these rosettes! Take a lookey at what I came up with and how the rosette turned out. I can not wait to see what you guys create! The card is gorgeous Erum. And the rosette is too cute.Love your shabby chic style. Awesome layering and fantastic rosette.thanks for the inspiration. This is gorgeous card ! 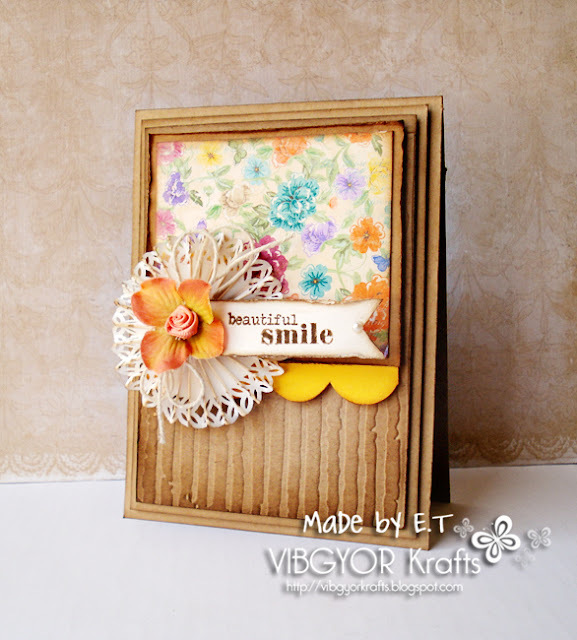 Gorgeous card Erum ..love the layering and your oh so perfect rosette :)...what an amazing inspiration !! loved every bit of it , thank you so much for the inspiration !! WoW!! What a gorgeous creation! Love the layering and shabby look !! Wov! This is really very different and lovely card. I always love your cards Erum and this one is no exception. You have an amazing eye for putting colours and texture together. Talk about the perfect layout! Love every piece of this gorgeous card, Erum. How to: make a MDF Handbag!